Crime Fiction Ireland: A hit this summer: 'The Last Days of Summer'? A hit this summer: 'The Last Days of Summer'? 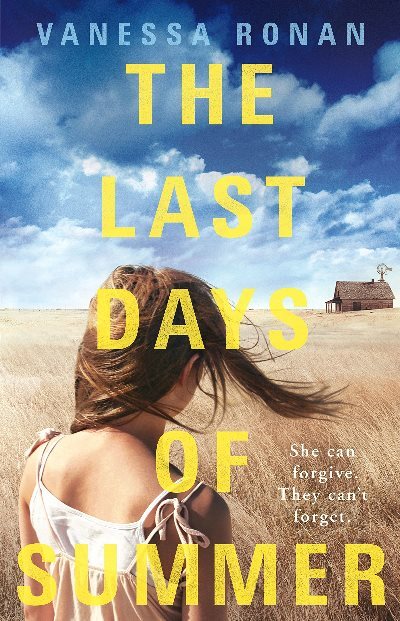 American writer Vanessa Ronan's forthcoming debut novel The Last Days of Summer has already been widely tipped to be one of this year's big summer reads in Ireland. Joseph O'Connor describes the slice of Gothic Americana as "a gripping piece of storytelling, a debut written with the empathy and authority more usually encountered in the work of an established novelist". After ten years in the Huntsville State Penitentiary, Jasper Curtis returns to the hometown where his sister and her two daughters live. Lizzie does not know who she's letting into her home: the brother she grew up loving or the monster he became. Teenage Katie doesn't trust this strange new man in their house, but 11-year-old Joanne is inextricably drawn to her new uncle. Jasper says he's all done with trouble, but in a forgotten prairie town that knows no forgiveness, it does not take long for trouble to arrive at their door. Vanessa Ronan was born in Houston and was home-schooled by her parents, both literature teachers. She has lived in Texas, Mexico, New York and Edinburgh, and has been a PA, a barmaid, a literature student, a dancer and a dance teacher. She now lives in Dublin with her Irish husband. The Last Days of Summer (Penguin Ireland) will be published on 5 May 2016.